What do you mean, you don’t know what it is? It’s a guesthouse or hostel, or any similar stopping place for travellers or pilgrims. It’s a bit of a stretch, but X is going to be all about the best hotels and hostels that I’ve ever stayed in. Each one has a story to go with it and hopefully it’ll reawaken some memories in me as I write. Not the most luxurious place, but a fantastic oasis of calm in the non-stop, sometimes overwhelming heart of Old Delhi. It’s very reasonably priced, you can get a fantastic aloo paratha for breakfast is fantastic and there’s decent room service. Free Wi-Fi is available in the lobby and there’s a great view of city life form the roof terrace. We spent about three nights there during our trip to India and, despite the basic nature of the room and opening the window to a view of a wall, I found it quite charming. Old Delhi is such a hectic place and it’s great to have somewhere to retreat to. 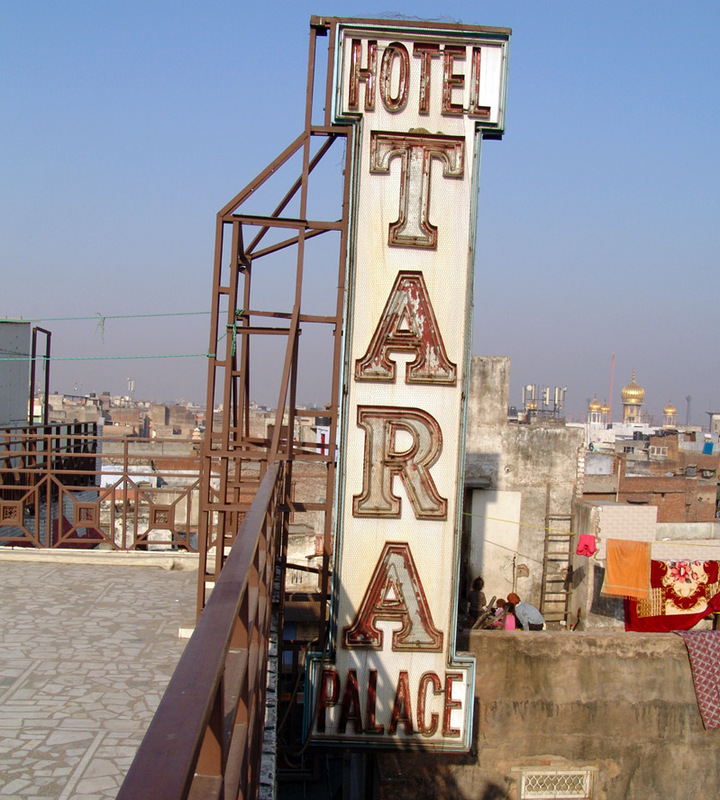 The location of the hotel is fantastic, only a short walk from the Jama Masjid mosque and Chandni Chowk. This place has a lovely terrace bar with a view over Lake Windermere. We used it as a base when we went to the Lake District. The facilities are great, it’s very comfortable and the staff are friendly. It’s great to have this place to come back to after climbing Scafell Pike. Probably in my top three of all time. My best friend and his wife were kind enough to buy me a return flight to Moscow for being best man at their wedding and, as I hadn’t had to pay for the flight, I decided to go all out on the hotel. I had no idea what Moscow was going to be like and I wanted to make sure that I would have a nice place to escape to in the middle of it all. The Savoy is located near Red Square. 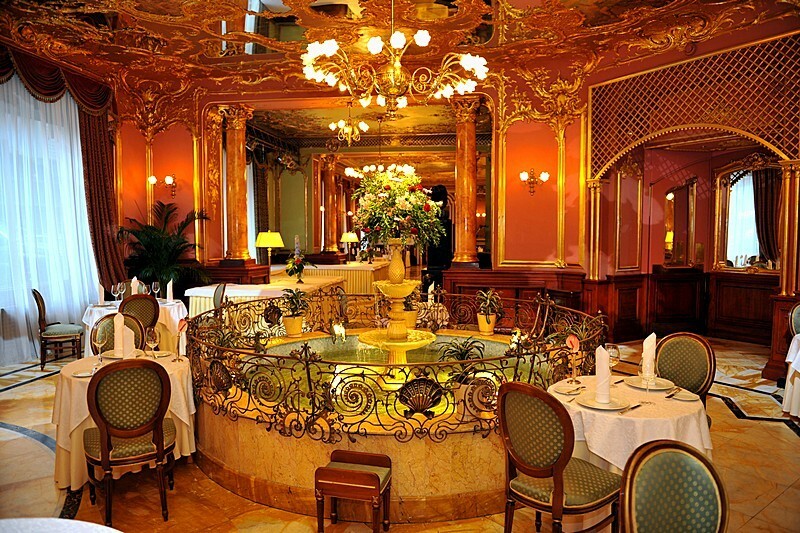 The restaurant, as you can see, is an opulent marvel. Every morning there was a guy in a black roll neck sweater who would come in and be seated at this personal table on a raised dais to the side of the room. I guessed he was an oligarch or something. The buffet there was splendid and the room, oh the room. It was amazing, with a huge bath. You can’t beat a hotel room that has a proper bath. Another good thing about the Savoy is that whenever you get to the door, there’s a uniformed gent there to open it for you. That just makes you feel like a superstar. Also, they took my passport off me when I arrived and kept it, which made me feel a little like I was in a spy film. Another masterpiece of opulence. 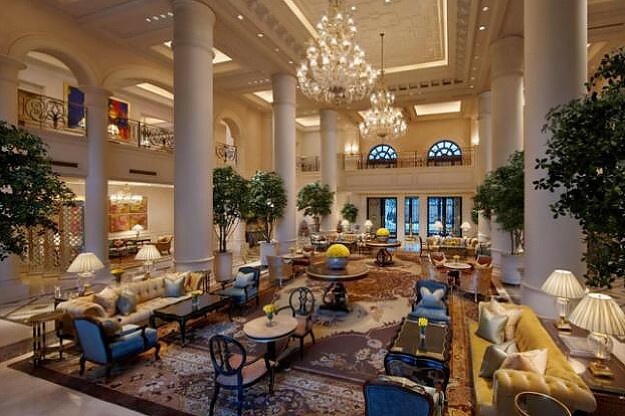 It really is the most beautiful hotel with a gorgeous lobby and great service. We ate at their restaurant, Varq, and were treated to an awesome meal. The chef came out to talk to us and we had a good chat about curry. It was probably the best meal we had in India. Room service is more like in-room dining here, too. We just ordered some chips as I recall and a couple of side dishes. When it arrived, they set up a whole dining table by the window, with everything that you would expect in the restaurant downstairs, and we sat there in our own private dining room. From the most opulent settings, we come to one of the most basic. I’ve been here a total of four times now: 1999, 2001, 2007 and 2009. Every time I’ve been, I’ve been lucky enough to run into a host of lovely and interesting characters from all corners of the globe. It’s a little way out of the centre of town but it has a charming air about it and is great for meeting people when you’re travelling alone. The accommodation has got better and better each time I’ve been. It’s right on the shores on Town Lake and offers some great views and walks. 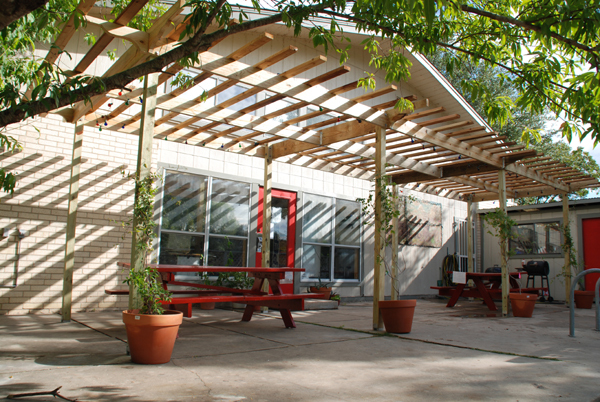 The patio pictured has been the scene of some fantastic, impromptu parties. Austin, if you go all the way back to my A post from back in April, is one of my favourite places in the world to visit and this is one of the main reasons. I remember planning my first visit when I was teaching in Belize and it was the first stop on my tour of the USA when I left. I liked it so much I came back a week after my first visit and spent another week. I even got on local radio when they came to do a piece about the place. I’m a big fan of this chain. The rooms they offer have always been incredibly comfortable and the service has been first rate, especially considering the very reasonable prices. 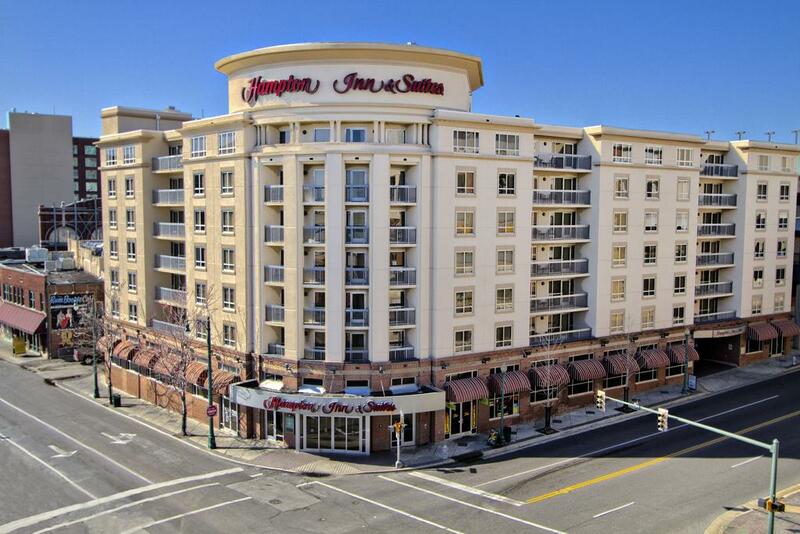 Spacious rooms, computer access in the lobby and just a stone’s throw from Beale Street. I first arrived after 28 hours on a greyhound bus from Tampa, Florida. I was so relieved to find myself in such a lovely place. I went straight out that night to take in some Pro Bull riding at the big venue down the street. This is a charming hostel in a very nice part of town. The best thing about this place is the open verandah at the front which gives you a great place to unwind and watch life go by on the street. There are (or were – this was sixteen years ago) some great second hand bookshops nearby and it’s a nice walk into town. I love Portland as it’s a very friendly place. It’s also home to Powell’s world of Books – a cavernous bookstore. This was the last stop on our honeymoon tour of Mauritius and Madagascar. 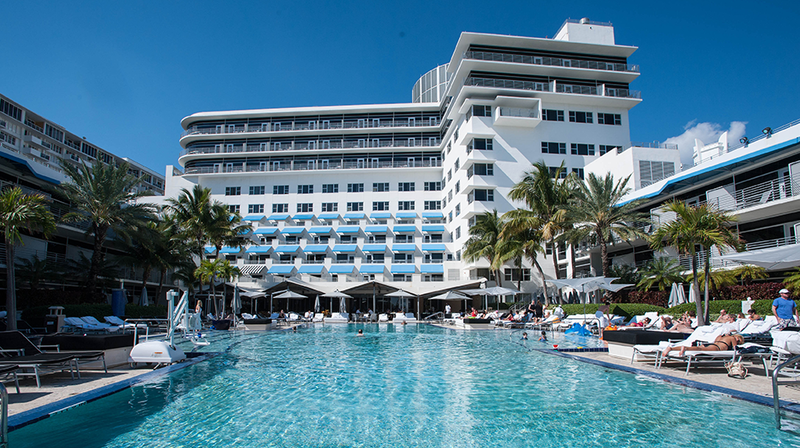 You just can’t beat the feeling of stepping off a boat at your hotel. Rolling up your trouser legs and wading through the warm, crystal clear waters to be greeted with a rum and coke. The rooms are lovely and the bar/restaurant is fantastic. We managed to run up a tab of over 1 million Ariary which made us feel like real high rollers (I think it’s only about £100). They offer great walking tours of the tiny island and we even managed to get a diving experience. Got down about ten metres and saw sea turtles and a coral reef under repair. Fantastic memories of a wonderful place. After Belize, I had a couple of nights in Cancun before making my way back to the USA. I happened upon this place on the street and it was very reasonably priced. I’ve seen somespotty reviews and things may have changed in 18 years, but it was clean and nicely located and I had a wonderful time there. They were replaying the European Cup final one night between Man Utd and Bayern Munich. I had heard the score but was watching and, with only a couple of minutes left, I thought someone had been winding me up when they told me that Man Utd had won. 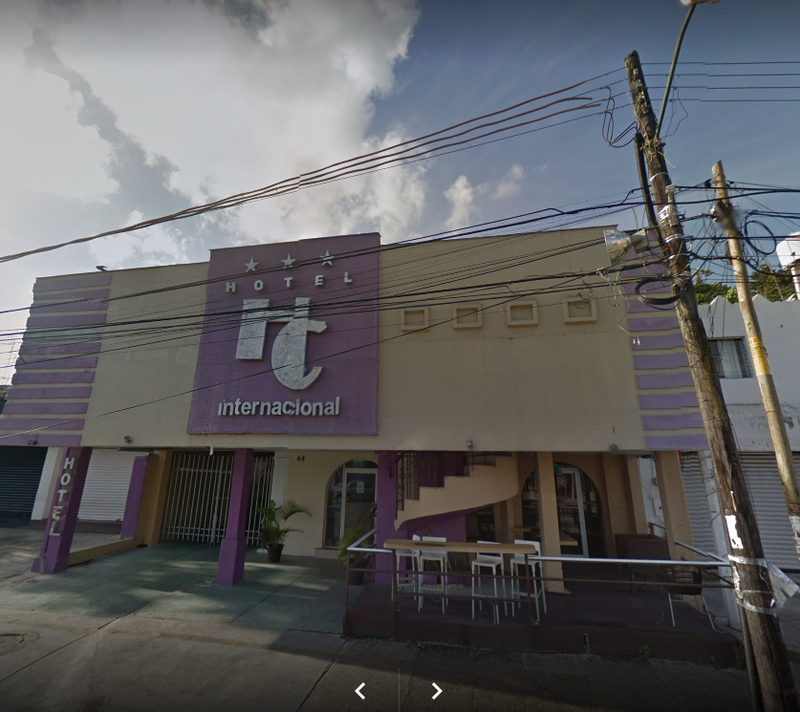 It’s a great place from which to explore the actual city of Cancun away from the resort hotels where most people stay. Probably in my top three. 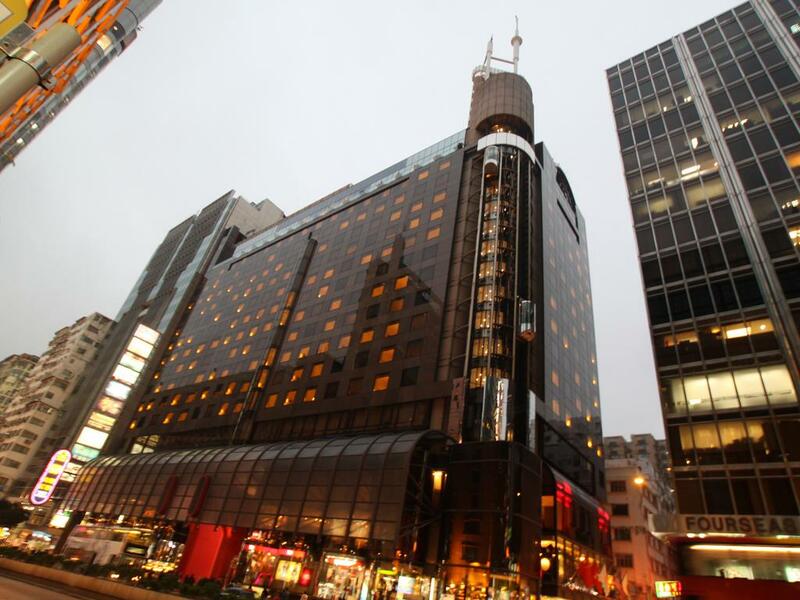 This hotel was very reasonably priced and in a fantastic location ion the heart of Kowloon. I had a lovely room and there was a massive buffet breakfast thrown in. It’s right on top of an Underground station which means you can get out exploring really easily and it’s only a ten minute walk from the Star Ferry over to Hong Kong Island. The bed was very comfortable and it was another very spacious room. Greta place. I had such a wonderful time in Hong Kong and this was part of it. 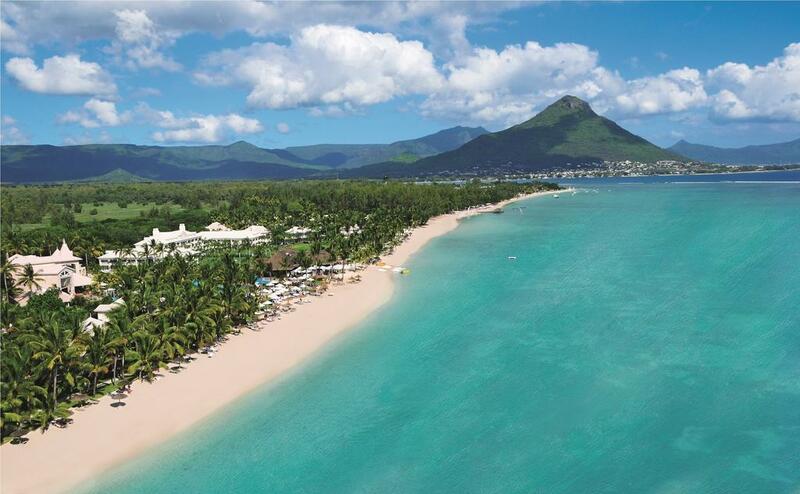 We started our honeymoon in this huge resort complex in Mauritius. I’d never stayed in a place like it and it was, as you can see, right on the beach. You can’t beat being able to walk out of your room, straight on too the beach. The one drawback of the place was the factory-style approach to honeymoon guests. I can’t fault what was provided, but when we turned up, they whipped out a huge book (the Honeymoon book – they obviously have loads of us) and made their way very perfunctorily through all the things that were part of the package. Here’s your t-shirt, here’s your fruit platter, etc. This was during the 2012 Olympics and I enjoyed watching the 100m final with a bottle of th most gorgeous vanilla rum from the minibar. 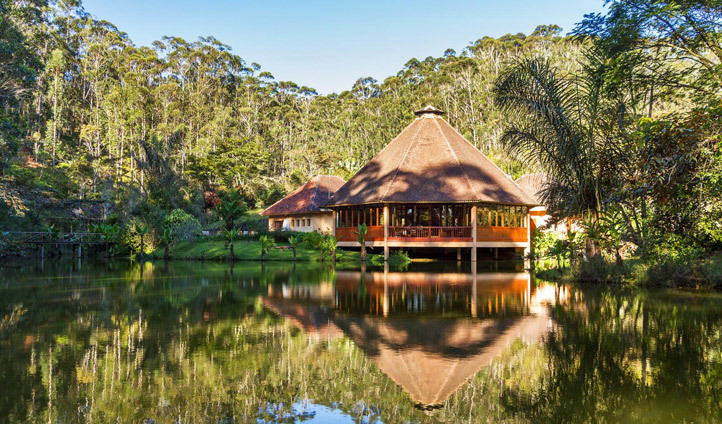 Our first stop in Madagascar was this beautiful place, right on the edge of the National Park. From here we explored the rainforest and saw nine (count them) varieties of lemur including the reclusive mouse lemur which I managed to capture on film – so proud. there’s also a lemur sanctuary nearby where you can have the fluffy little beggars jump all over you while you give them fruit. Just a one-night stay here, but the room was out of this world. The high point was the bathroom. Two showers, his and hers robes and great fittings. So, that’s a little tour through the nicest places I’ve rested my head during my travels. Sometimes the place you stay can really add something to your trip. Hope you enjoyed this. If you did, then please have a look at the other entries on my Blogging from A-Z journey. Only Y and Z to go. I know what Z is going to be but Y is still up in the air.